Parrot tech ventures approached Codewave for designing and development of a smart digital solution (B2B, B2C & B2B2C) that enables insurance advisors to create engaging conversations and journeys with customers, provide relevant recommendations based on customer’s lifestyle, instead of bombarding them with pushy emails and policy updates. MoneyParrot also intended to make advisors proactive, by keeping a track of how peers in the region and across the country are performing, what products are trending etc. An advisor on MoneyParrot would sign-up customers, upload all information about the customers along with policy information – the app automatically reminds when a renewal is due or a customer’s life event is approaching. MoneyParrot for customers, allows them to track all their insurances in one place, without having the need to look for papers at moments when looking up information is extremely critical. MoneyParrot in-short enables insurance advisors to manage their sales and nurture customer relationships, track performance and continuosly grow the business. His ideas were centered around empowering the advisor with latest technologies and make them efficient & productive, unify the advisor community, so they can compare, collaborate and grow. The app needed domain expertise, technology knowhow, product attention at various phases of development. It was a technological need to empower the user with powerful tools and information. Codewave designed and developed MoneyParrot, the online platform for insurance advisors and customers (Android, iOS and Web) keeping in mind the simplicity and the ease of use, with valuable features for advisors to manage user’s investments digitally. 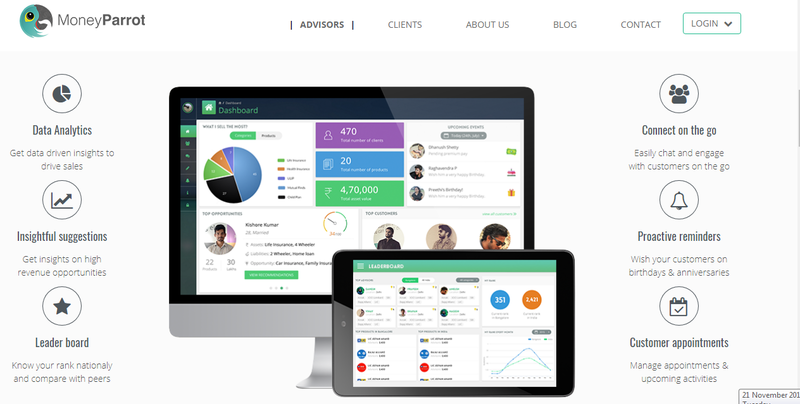 MoneyParrot was holistically designed in the way which will help the advisor to get actionable insights on business opportunities, engage with client in deeper and in a more meaningful manner and give them a single roof to provide exceptional customer service with high efficiency and convenience. MoneyParrot simplifies Advisor’s engagement with the customer with value added features like, timely reminder for renewals, personalized service which will advice “need based insurance” and also give insightful suggestions to advisors on high revenue opportunities. 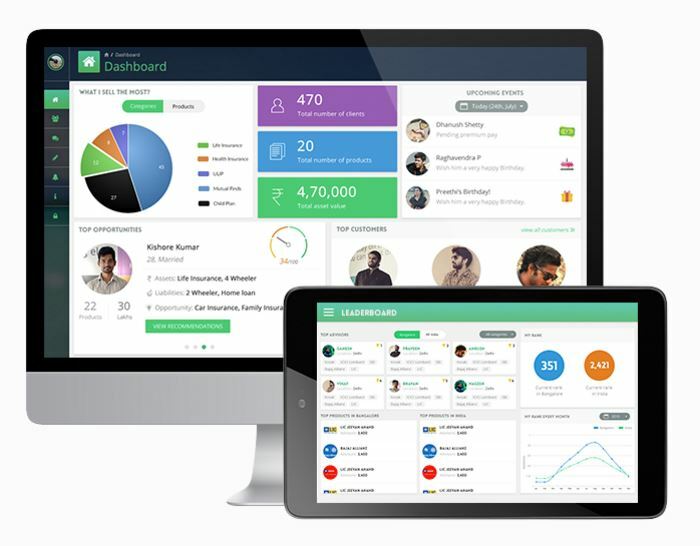 Once the advisor signs in, he / she gets to see a high level dashboard indicating revenue opportunities, data driven insights to drive sales, a leaderboard to know your rank nationally and compare with peers. 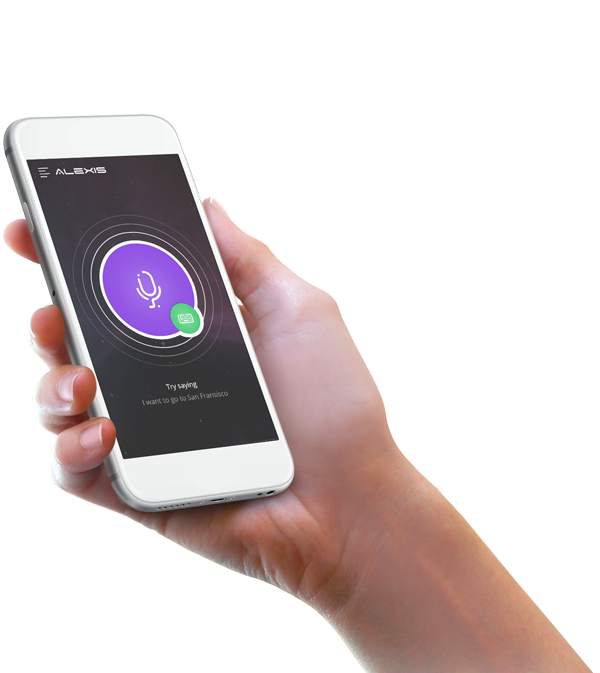 Advisors can also easily chat and engage with customers on the go. Proactive reminders on customer birthdays and their anniversaries are sent to advisor so they can proactively keep in touch with customers. Advisors can also manage appointments & upcoming activities. Before we started designing the applications, we did a survey with a group of experienced advisors. Based on our learning and understanding we had during these interactions, Amit’s domain expertise and the team’s technology expertise, we identified what features could be built to create an integrated experience for insurance advisors and customers. We went with a advisor-first approach, building the tools necessary for the advisor to signup customers.